As the porter style grew in popularity, larger, wealthier breweries found a clear advantage over their smaller brothers. Smaller breweries had no easy way of expanding their porter output because of the need to mature the beer for up to 6 months. They had limited space and few options when it came to getting more, while larger breweries could afford the cost of buying or renting space all across the city. As the porter volume of large breweries increased, they began to look for new markets, and soon porter became the first global beer style. 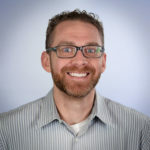 In The Beer Bible, Jeff Alworth writes that Britain saw an increase in beer export between 1750 and 1800 of 76,000 barrels and equates this increase to the popularity of porter. It found its way to Ireland, the newly formed colonies in North America, South Africa, and it made it to the East Indies ahead of pale ale. Porter was also shipped to ports along the Baltic Sea and into Northern Europe, making its way into willing markets in Russia, Poland, Sweden, Denmark, Germany, Finland, Latvia, Lithuania, and Estonia. It’s easy to see why these regions loved the newly imported beer so much. The dark and strong export porters likely drew a warming contrast to the ever-present chill; the time at sea in these colder climes probably only served to make the exported product better. The strongest of these export “stout porters” would find special love among the Russian imperial court, eventually becoming the Imperial Stout. It didn’t take long before porter’s appeal inspired brewers in the Baltic region to try their hand at crafting local versions. Sweden’s first porter brewery was started in 1791 by William Knox, an Scotsman who had moved to Göteborg. Regional brewing of British export porter was probably further spurred when, in 1806, Napoleon put his Continental Blockade policy into effect in response to the British naval blockade of the French coast. This slowed, if not completely stopped, the flow of beer and other British goods into the Baltic Region. What’s a person to do when suddenly their favorite libation is no longer available? The answer seems pretty straight forward. Breweries continued to pop up, even after the blockade was lifted. In 1819, a Russian named Nikoli Sinebrychoff, founded a brewery in Finland and began producing a porter. A few years later, in 1822, another porter brewery built in St. Petersburg, despite many Russians believing a good porter could not be brewed in their home country. These Baltic recreations adopted ingredients of the region. Continental malt and hops took the place of British varieties. Bottom fermenting lager yeast took the place of ale yeast in many instances, and even when top fermenting yeasts where still employed, they were doing their work at a much cooler temperature. With the use of lager yeast, these porters had a cleaner yeast profile, losing much of the fruity esters of the British porters. 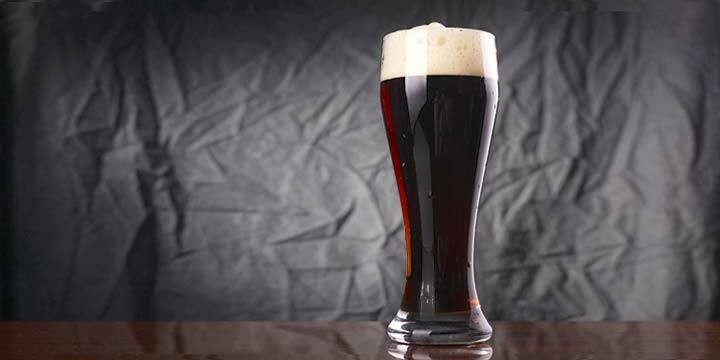 A smoother roast character was created, reminiscent of German schwarzbier. In 1817, the malt bill would change even further after Daniel Wheeler invented the drum kiln, allowing pale malt to be kilned much darker without imparting any smokiness. Thus, the early brown malts were replaced by a blend of pale malt and dark patent malt. Today, Baltic porter is making a bit of a comeback and finding a wider audience as interest in craft beer continues to grow across the world. There are a few breweries in the Baltic region still making the style. Originally founded in the early 19th century, and later relocating to Estonia, Le Coq brewery continues to make one of the oldest Baltic Porters still around — Le Coq Porter. Several breweries in Poland continue to brew the style, and the country even celebrates a “Baltic Porter Day” (now in its third year) in January. 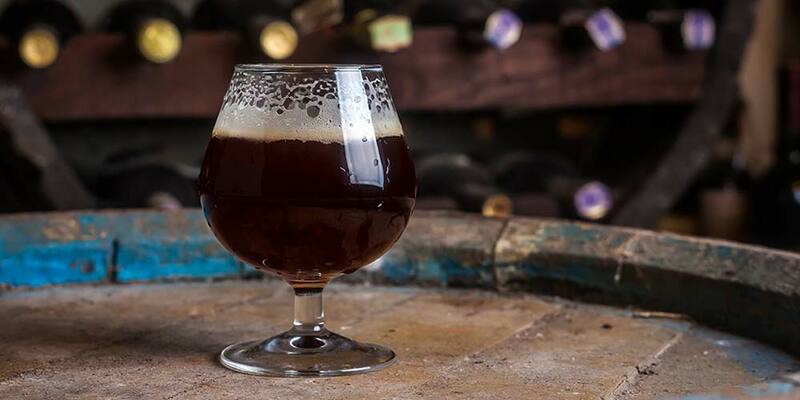 Russia and Finland also have well known examples of the Baltic Porter style, and many craft brewers in America have turned their eye to the style, too. 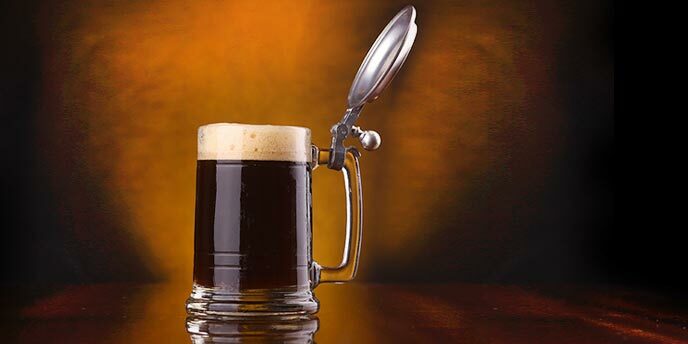 The guidelines for the Baltic Porter beer style are set by the Beer Judge Certification Program (BJCP) Style Committee. 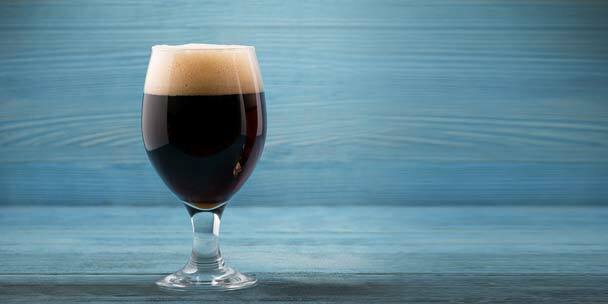 The below details are a summary of what a Baltic Porter should represent. Shelf Life: Many years, if stored appropriately. The BJCP classifies the Baltic Porter beer style under category number 9, “Strong European Beer” and it can be found in the guidelines as sub-category (9C). Should not be black in color, but can come very close, ranging from a deep mahogany to an opaque dark brown. Clarity will be good, although it may be hard to tell in the opaque versions. Head will be thick and creamy, long-lasting, and in the tan color range. Aroma will be a complex malty sweetness made up of some mix of caramel, nutty, toffee, deep toast, and licorice. Darker notes of chocolate, molasses, and/or coffee are often present. These darker elements should never come through as burnt though. No hops or sourness should be detectable. It will contain a rich set of esters and a deep alcohol profile of medium strength often with the dark and/or dried fruit complexity of currents, cherries, raisins, prunes, plums. At higher strengths it can take on port-like aromas. Usually full-bodied, often added to by the moderate to moderately high carbonation. It should be smooth but relatively light across the palate with mellow alcohol warmth. This is a show boat for malt. It should have a deep malty sweet complexity of caramel, nutty, licorice, toffee, and/or molasses. Whispers of coffee, chocolate, and licorice can often be found in the slightly drying finish. Roasty flavors should be smooth and deep, never burnt. Clean lager character. Hop bitterness can range from a low medium to medium and should give some balance to the maltiness, while hop flavor if present should be slightly spicy and range from none to moderately low. Whispers of black current and other dark and dried fruits may be noticed due to the ester and alcohol complexity. This is a hearty beer for hearty food. Think of a main course of roasted goose or other poultry, barbecued/smoked beef, or grilled sausage. Venison too, with its gamey complexity will pair nicely. Or if you’re looking at a cold evening throw together a hearty and warming stew or chili, this porter is up to the challenge. For the before-dinner cheese plate go with aged Gouda, brie, pepper jack, or Gloucester. Add some aged ham to the plate for a little extra wow. Desserts are where this beer finds a special friend. Prepare a chocolate dessert and it’ll be hard to go wrong. Other desserts that work well include cheesecake, coffee cake, pecan pie, and apple pie. Of course, the stronger and more mature of this style can be great all by itself as an after dinner sipper. For best presentation and greatest appreciation, a Baltic Porter should be served at around 55-57°F in a snifter glass. They are best stored at cellar temperatures away from light and can be aged for several years. * BJCP Update: After the release of the BJCP Style Guidelines in 2015, the name of this style has been changed from “Robust Porter” (12C), and is now referred to as “Baltic Porter” by the style committee. Great American Beer Festival Winner, Gold, 2017. Available: December. Great American Beer Festival Winner, Silver, 2017. Available: Unknown. Great American Beer Festival Winner, Bronze, 2017. Available: Unknown. Great American Beer Festival Winner, Gold, 2016. Available: January-February. Great American Beer Festival Winner, Silver, and World Beer Cup Winner, Gold, 2016. Available: Year Round. Great American Beer Festival Winner, Bronze, 2016. Available: Unknown. World Beer Cup Winner, Silver, 2016 and Great American Beer Festival Winner, Gold, 2015. Available: Unknown. World Beer Cup Winner, Bronze, 2016. Available: Unknown. World Beer Cup Winner, Gold, 2014. Available: February-March. World Beer Cup Winner, Silver, 2014. Available: Rotating. 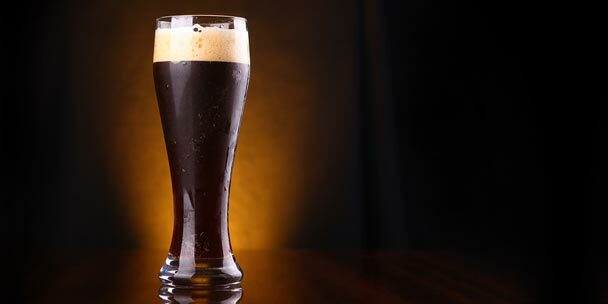 If you’d like to try your hand at brewing a Baltic porter recipe at home, here’s a few tips to help you throughout the process. The bulk of your grain bill will be made up of some sort of basic base malt. Some brewer’s use domestic 2-row, though for tradition’s sake, I would lean toward choosing a continental malt, such as Weyermann. This base malt can be a pale or pilsner; even a light/medium Munich or Vienna, which would build a richer bready background. One of the more common base malts used is European pilsner. Whatever your chosen base malt, it should make up anywhere from 50 to 70 percent of the bill. If you use a pilsner or other pale malt for your base, you’ll still want to include a portion of Munich and/or Vienna to help build that deep complex backbone. This addition should make up anywhere from 20 to 40 percent. Another way to build the base, is mix 35% pilsner and 35% Munich, or even 35% pilsner and 50/50 blend of Munich and Vienna. The mixture, type of malt, and malt manufacturer all play into the type of background you’ll have in the beer. It may take some experimenting to find a favored combination. Medium and dark crystal malts can make up as much as 10 percent of the bill. Medium crystal (40 to 60°L) will give some caramel sweetness while the darker crystal (70 to 150 °L) gives a subtle flavor of raisin and plum sweetness, some nutty and/or roastiness, hints of bitterness, and some color. Some dark malt is needed to supply the low roast/coffee/chocolate complexities. At the same time, you don’t want any harsh roast or acrid flavors, so limit the amounts and use debittered versions of the darker malts. Chocolate malt is almost always included. Roasted barley is another often used, but only at 2% or so. Other specialty malts may include small additions of Biscuit, Victory, Special B, Wheat, Oats, brown malt, or amber malt. Using brown malt is a historical throwback to early recipes when brown malt often made up a large portion of the bill. Additions of specialty malts — including any dark kilned malts — should be kept below 10%, otherwise the beer is likely to end up with too much roast character and/or be too cloying and heavy. Brewing Baltic porter as an extract isn’t difficult, though you will want to include some of the specialty malts listed above and do a mini-mash or, at the very least, a steep to get some deeper complexity. 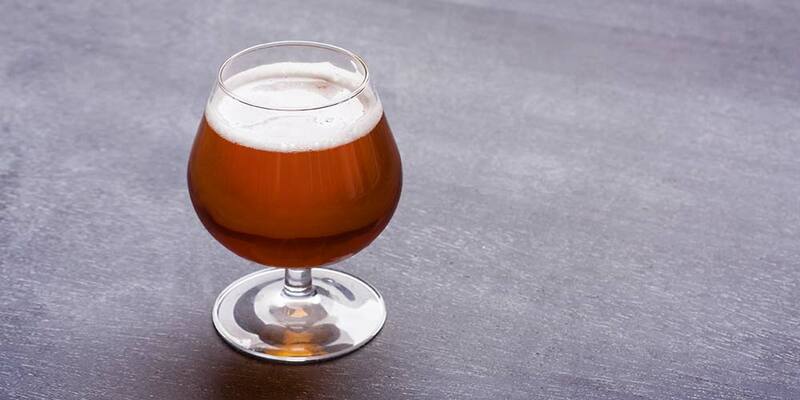 Find a high-quality continental pilsner or other pale malt extract for your base. A mini-mash with a bit of Munich and your specialty grains is a good way to go, especially if practicing for or progressing towards all-grain brewing. Vienna or light Munich has enough diastatic power (above 35 lintner) to convert itself, plus the low quantities of specialty malt you are likely to use. The Vienna or Munich will help build some of that biscuity background, adding complexity. If you’re not up for a mini-mash, a simple steep of your specialty grains, while possibly not quite on par with the complexity of an all-grain, can make a worthy example of the style. Baltic porters have a restrained hop character, often exhibiting little to no hop aroma and only low flavors. Bitterness is medium or lower. Hops traditionally used in Baltic porter would be those readily available in that region. Steer clear of UK hops and look to continental varieties instead. 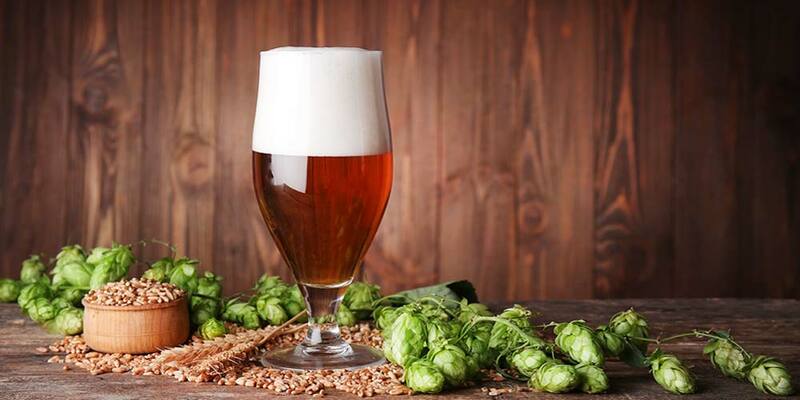 Lublin and Saaz are often used, but any hop with the herbal, spicy “noble” character will work. Options include Hallertau, Spalt, and Tettnang. 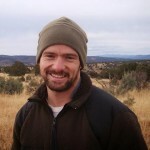 For bittering, any of the above hops could work double duty, or go with a clean bittering hop, such as Magnum. Your bitterness to starting gravity ratio should fall within 0.2 to 0.5. Usually the middle is a good place to aim for. How much bitterness you want will also depend on the strength of the finished beer, and if you plan to age it for a longer period of time. In both of these cases, you would want higher bitterness. A later addition is acceptable, but you want to keep it restrained. You don’t want any hop aroma in this style and only low spicy, herbal notes in the flavor. A simple infusion mash will work well here. Ensure you keep your saccharification temperature in the lower-mid range of the brewer’s window; between 148°F – 153°F. This range will serve both the higher alcohol content of the style and the slightly sweet full body. If you happen to be aiming for the top of the style’s ABV range, stay in the lower temperatures to create more fermentable sugar. The mash can range from 60 to 90 minutes, possibly longer. The best way to know when you’re done is through an iodine test to see if conversion is complete. To do this simply put a small sample of your wort, with as few solids as possible, into a small white bowl or cup. Add one or two drops of iodine and watch the color change. If the iodine turns black, conversion is not complete. If the iodine remains a reddish brown color, it means there is little starch present and conversion is complete. The boil will be from 60 to 120 minutes. If you have pilsner or pale malt as your base, you’ll want to go at least 90 minutes to help get rid of more S-Methylmethionine, which is a precursor of DMS. The longer boil is necessary with Pilsner malt, but it’s not gonna hurt anything if you do a 90, or even the full 120 minutes, even if you aren’t using much pale malt. A longer boil can help garner richer more complex malt flavors. Just be sure to adjust your calculations to account for the longer boil times. At 60 minutes, add your bittering hops. If you’ve decided on a late addition, you’ll want to add it between 20 and 15 minutes before flame out to ensure some flavor, but minimal aroma. You have two choices here. 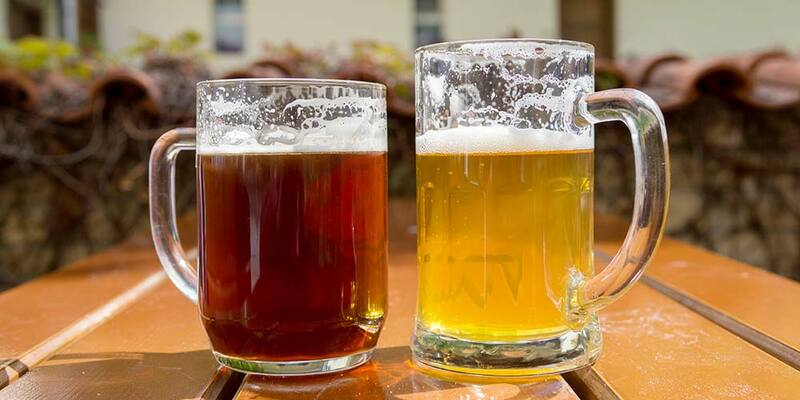 You can either use an ale yeast or lager yeast. 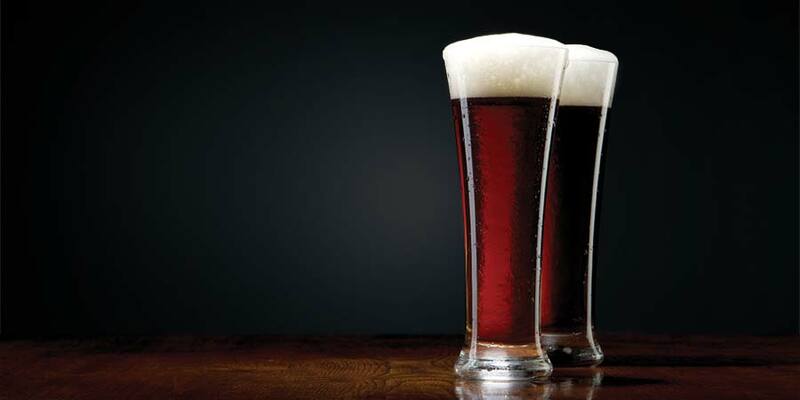 Lager yeast has become more associated with this style since it was brewed in colder regions. Using ale yeast harkens back to when the style first made its way to the Baltic region, though it is likely that some brewer’s in the region used ale yeast adjusted to the area; probably something along the lines of Kolsch yeast. Wyeast: Scottish Ale (1728); Though a little less traditional the American Ale (1056) could work also. If interested in organic options, Joystick (A18) or Harvest (L17) from Imperial Yeast could be likely choices. Once your boil is complete, crash-cool it, as best you can, down to the pitching temperature. Then pitch the right amount of healthy yeast for your beer’s gravity. Aerate / oxygenate it well. It is important to remember: Temperature fluctuations, not enough healthy yeast, and not enough oxygen will all adversely affect the fermentation and your end product. So, manage your yeast and temperature properly. Let it ferment at the proper temperature until it is fully attenuated. Fermentation can take anywhere from 7 days to a full two weeks. Don’t be in a hurry. You want it to attenuate fully, so you get that smooth malty touch without being overly sweet. Once it looks close to done, you may want to rack it to a secondary and leave it alone for another 4 to 6 weeks. When you are ready to bottle or keg, carbonate to between 2.0 and 2.5 volumes. 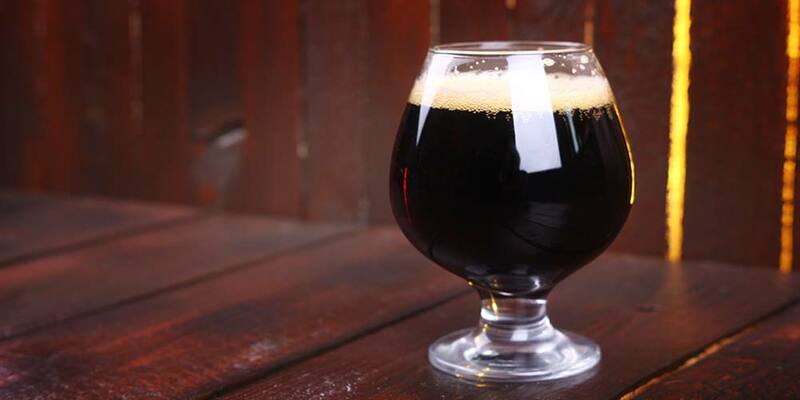 The Baltic porter style can easily withstand extensive aging. The balance will change over time, though. Some of the harsh edges will round and complexity will deepen, possibly even taking on port-like qualities. Part of the pleasant wonder will be sampling bottles as it ages. William Knox wasn’t English. As his name implies, he was a Scot. Porter was being brewed in St Petersburg by Noah Cazalet from about 1790. A Le Coq didn’t start in 1807 – more like 1831 – and didn’t move to Estonia until around 1911. Daniel Wheeler should come before Baltic porters being brewed with bottom-fermenting yeasts in the timeline. Wow. Mr. Cornell, the man himself! Thank you for taking the time to read the article, as well leave us a kind note to point out these errors. It’s important to get the details right, and we will be updating the above accordingly. The article kinda suggests that baltic porters are something still quite rare and “newly discovered” in Baltic region. That is not true 😉 For example here in Poland, you can find baltic porter in every single shop out there (here known simply as “porter”). And it’s been like that since I remember. BJCP guidelines seem to be quite outdaded too. I have never seen a baltic porter that is below 18 plato (that is 1.072), and even those are quite rare. 1.060 baltic porter sounds like a bad joke. As for upper OG, 1.090 also seems a bit too low. There are many craft baltic porters that go as high as 1.010. The same goes with alcohol content. Usually it is between 8 and 10%, but rarely some have 11% and more.